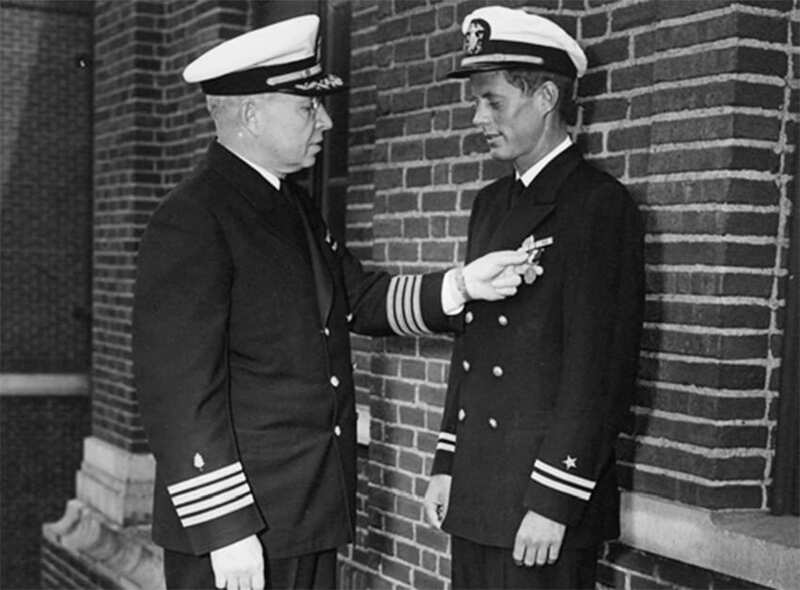 Lt. John F. Kenney is awarded the Navy and Marine Corps medal on June 12, 1944 by Capt. Frederick Conklin for his actions in the PT-109 episode, an episode in which his back sustained an injury requiring surgery. This photo is in the public domain and supplied courtesy of the John F. Kennedy Presidential Library and Museum, Boston. July 13, 2017 | July 13, 2017 | How President John F. Kennedy’s back pain affected his life and presidency along with the role it may have played in how he died are examined in a review of the 35th president’s medical history done by a University of Arkansas for Medical Sciences (UAMS) physician and his co-author. In their article, “John F. Kennedy’s Back: Chronic Pain, Failed Surgeries, and the Story of Its Effects on His Life and Death” published July 11 in the Journal of Neurosurgery: Spine, authors T. Glenn Pait, M.D., and Justin T. Dowdy, M.D., reviewed case notes written by various physicians who undertook care of Kennedy’s back. They also examined spinal imaging studies obtained over decades of treatment, documenting a history of debilitating structural changes. The president’s public image as a young, healthy, strong-bodied man belies the truth that he was plagued by illnesses and discomfort and required strong medication to perform his tasks as president, the article shows. Pait and Dowdy also address the controversy over whether Kennedy’s use of a back brace contributed to his death at the hands of an assassin in 1963. Kennedy’s other intermittent and chronic health problems, their relationships to his spinal disorder, and the possible effects that his ill health may have played on his career and even on his death also are examined. Scarlet fever, long-standing gastrointestinal disease, Addison’s disease, and chronic back pain are some of the medical issues faced by Kennedy during his short life. 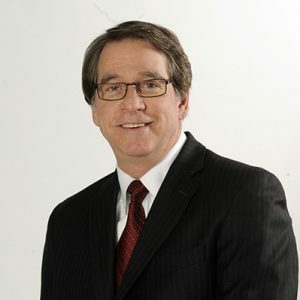 Pait is a neurosurgeon and director of the T. Glenn Pait Spine Clinic at the UAMS Jackson T. Stephens Spine & Neurosciences Institute. Dowdy, a UAMS neurosurgical resident at the time the article was written, is a neurosurgeon in Hot Springs. Kennedy first experienced low-back pain after a football injury as an undergraduate student at Harvard University in 1937. While serving in the U.S. Navy during World War II, Kennedy further injured his back, leading in 1944 to the first of his four spine surgeries. The authors describe physical and imaging findings before and after each of the surgeries, which spanned the years 1944 through 1957. The first two surgeries did little to improve Kennedy’s condition and in fact resulted in severe complications and additional pain. The third operation was performed to remedy the effects of the second operation, and the fourth operation to clear out infection at the previous operative site. The relative value of diagnostic tests of the time and the decisions leading to the spine surgeries is examined by Pait and Dowdy. They also discuss the means used to reduce Kennedy’s chronic pain so that he could function as president and maintain his image of a strong, vibrant leader at the top of his game. The Journal of Neurosurgery: Spine is a monthly peer-reviewed journal focused on neurosurgical approaches to treatment of diseases and disorders of the spine. It contains a variety of articles, including descriptions of preclinical and clinical research as well as case reports and technical notes. The Journal of Neurosurgery: Spine is one of four monthly journals published by the JNS Publishing Group, the scholarly journal division of the American Association of Neurological Surgeons.